I own all the rights to my music, and Team Meat approached me to license the music for the PS4 and Vita versions. I didn't feel like the license fee and exposure through PSN they offered was enough to make me seriously consider accepting the deal. I decided to decline their offer. I wish them and the new artists the best of luck with the game. Crypt of the Necrodancer Launch! Hi everyone! I am very proud and excited to finally make this post. Crypt of the Necrodancer is out of Early Access and out on Steam in its full glory! If you’re here to find out where to buy the music, check out the quick guide below. If you want just my soundtrack: Steam DLC - Bandcamp - out soon on iTunes & commercial outlets (you don’t get exact times with submission services! (2 days to 2 weeks they said). If you want mine AND Jules and A_Rival’s: Steam DLCs. If you want just Jules’s soundtrack, check his YouTube for his release announcement! If you want just A_Rival’s soundtrack, it is here! As you may have heard, we enlisted the services of FamilyJules7x and A_Rival to help make the soundtrack bigger than it already was. We now have alternate, crossfadable versions of the soundtrack, for Aria and Melody respectively. I wanted to share some of the details on how you can purchase these soundtracks. On Steam, there will be two options for DLC to purchase. One is $10, and is my own original soundtrack by itself. 100% of the profits go to me. The other option is for $5, and that includes both Jules's and A_Rival’s soundtracks, and 100% of those profits go to them. If you want to have ALL the music that’s in the game, you would need to purchase both DLC options. If you purchased the soundtrack while the game is in early access, you should already have both soundtracks DLC’s unlocked in your Steam account. Outside of Steam, Jules and A_Rival have free reign on where and how they can sell their music. A_Rival’s is available for purchase here with additional-length mixes, and Jules plans on having his up within a week, with additional tracks! Keep an eye on their Twitters and Youtube channels for when they go up. My soundtrack, outside of Steam, is up on Bandcamp here, and you will be able to stream it on Spotify and Tidal, and buy it on iTunes and Amazon and everywhere else as soon as they put them up. I'll be tweeting about it when it happens, so keep an eye on my Twitter. Once you buy the soundtrack, you are free to use it on Twitch or YouTube streams. Even if they’re monetized! If you do, please provide a link back to my website. And please make sure you use the tracks from the Bandcamp release, and not the older Early Access versions! If you decide to link to a certain song on Youtube, please use the videos in this playlist, as they are the official and latest versions. $10 for my soundtrack on Steam and elsewhere, streaming on Spotify and Tidal soon. $5 for Jules and A_Rival’s on Steam, special editions soon elsewhere, follow @FamilyJules7x and @8BitPimp on Twitter for details! Thanks for all the support, and I’ll always love you! Moar shipping stuff + Cyber Monday sale + new places to buy music! To celebrate Cyber Monday, the Desktop Dungeons OST by Danny and Grant Kirkhope is 30% off on Bandcamp. If you haven't gotten it yet, it's been knocked down to a crazy low $7 for almost 2 hours of original music. If you don't have it yet, go go go. Shipping has been backed up for awhile, so if you've ordered a physical copy of the Super Meat Boy! soundtrack, it is being sent out today. If you ordered recently, please check your email for a note about the lateness and a surprise. We are super sorry for the delays in shipping, life happened. If you ordered and didn't get the note from Bandcamp, email dannybaranowsky@gmail.com and I'll get you set up. If you're ordering a physical copy for the holidays, the cutoff date to order is Friday, December 13th , and I'll be shipping them out on Saturday, December 14th. If you're in the US, that should be plenty of time to get the CD in time for Christmas. I will ship again on Wednesday, December 18th, but no guarantee you'll have it in time for Christmas. If you're outside the US and trying to order in time for Christmas, place your order and please email dannybaranowsky@gmail.com to let me know and I'll get on it ASAP. International orders take longer to arrive and there's no guarantee you'll have it in time, but I will do my best. I won't be shipping again until January after the 18th, so if you place your order after that, expect it to be sent out the first week of January. The Super Meat Boy! OST, The Binding of Isaac OST, and the Desktop Dungeons OST are now all available for purchase on iTunes, Amazon, and Bandcamp, and also available for streaming on Spotify and whatever other streaming stations you kids use these days. Most soundtracks will be lower priced on Bandcamp due to pricing limitations on other sites, but the option is there for you should you want it. New music is on the horizon at the beginning of the year, so get excited. We hope everyone has a happy holiday season! See you in 2014. You get an update! And YOU get an update! Wow, it's been awhile. Hello. Drifter - a space trader game made by Celsius Game Studios. Danny's been working on this in just the past few days - here's a Vine he made yesterday. If you haven't yet, please vote for Drifter on Steam Greenlight! Every vote helps. If you missed out on the Kickstarter, you can pre-order Drifter here and get access to the beta immediately. Get going. Desktop Dungeons - a quick-play roguelike puzzle game being worked on by QCF Design. Danny's working on this with his childhood idol Grant Kirkhope (which he still doesn't believe and has to be reminded of daily) and the music is sounding great and different than what you might expect - orchestral awesomeness. You can pre-order Desktop Dungeons here and get access to the closed beta. Go go go. Those are the big ones right now, though there's more scattered about and in the pipeline. If I forgot anything, it's my fault. Danny claims no responsibility for my lapse in memory. He isn't forcing me to say this at all. send help please. That's about it for now! As always, for the most up to date info you should follow Danny on Twitter and if you haven't yet, LIKE his page on Facebook. He's up to over a thousand LIKES! That's pretty sweet. Can we get to two thousand?!? Probably not, but it's worth a shot I suppose. Howdy. My name is Kim and I help Danny keep his brain on track. My accomplishments thus far include teaching my dog how to shake and dropping out of college, so you know that he is in good hands. I'll probably show up from time to time here to update you on his work so that he can continue cranking out those sweet, sweet jams in peace. All shipping prices are going up for the physical copy of the Super Meat Boy! soundtrack. You can purchase it here. Blame the economy, blame Obama, blame anybody you'd like, but unfortunately shipping prices have gone up this year and we can no longer afford to keep covering the extra cost. HOWEVER, they won't be going up by too much - any orders placed on Monday, May 20th or after will be increased by $1. This means that shipping domestically will be $4, shipping to Canada will be $5, and shipping internationally will be $8. We are super sorry for the increase in price, but it was either this or sell all of Danny's computers. It wouldn't have been pretty. So if you've been waiting, now is your time to buy the physical copy of the CD. The last day to purchase them with the current shipping cost will be Sunday, May 19th. 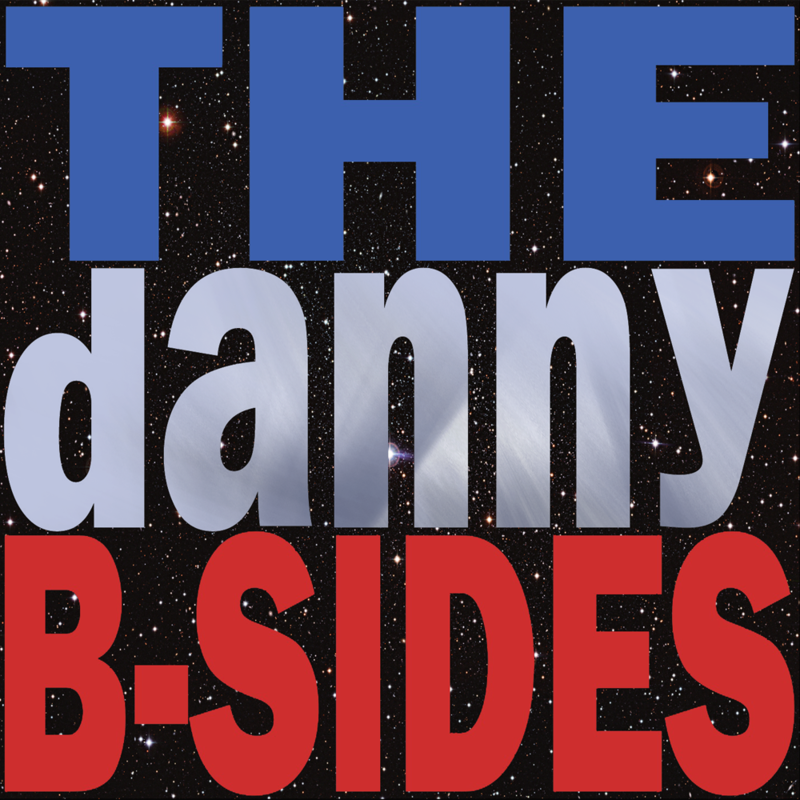 The danny-B sides album will be coming ... soon. Yes, Danny said April. It is now the middle of May. Oops. What started out as something "simple" turned out to be not so simple. Danny wants to do some extra cool stuff and the amount of music on this thing is going to be ridiculous. He's working on this in addition to his other gigs, so it's taking more time than we originally thought and will be done when it's done. Hopefully that won't take longer than a few more months. The price will probably be around a few bucks and it will contain somewhere north of 50 tracks (I kid you not). It's going to be a lot of music, so brace yourselves ... danny B music is coming. Those are all the updates we have for you right now. Thanks for sticking around and keep an eye on Danny's Facebook page and Twitter feed for the latest news. If you have any questions about anything, feel free to email here and either Danny or I will get back to you as soon as possible. The Adventures of Dash Advance Preview! Recently I've been working with the svelte and attractive Robert Bowling's company Robotoki on a game called The Adventures of Dash. It's a 2D platformer with an interesting dream-warp kind of mechanic. Yesterday we released an advance preview of the music composed for the game so far. I think it's some of the best stuff I've done so far, and I'm particularly proud of the music from the Bubble Dream, track called "Sudsy Slumber". It's meant to convey the feeling of floating through a bizarre world based on brushing teeth conjured from Dash's mind. You know, regular stuff. So anyways. Go download it here! It's pay what you want, so you can give me NOTHING if you feel I deserve NOTHING. 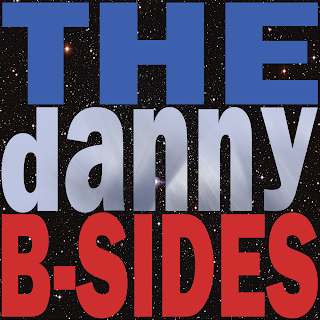 News on The Danny B-Sides soon! For a pretty long time, I've been sitting on a lot of music I've done for various projects that for one reason or another never saw the light of day. Recently I was encouraged by some jerks to put it all out there. I'm planning on doing more original music in the near future, so I figure it's cathartic or something to release a collection of what I've done, to start looking to the future or whatever. Some tracks have been released before, for free, and they will be downloadable individually free. I'm just including them for completeness! I'm putting together this collection, cleverly called "The danny B-Sides" and it will release some time in April. But I wanted to put in some demos to show you what it's all about. Lovely album art by the lovely Chris Arredondo. Keep in mind, some of these are really old. In many cases these aren't meant to be representative of my current production quality. It's more that I thought it might be interesting for people to hear my progression over the last few years. Most of these will be pre-Super Meat Boy, and some even pre-Canabalt. Enough blabbertalk, here are the demos! They are just rough, unlooped previews. The final version will be nice and volume-leveled and looped/faded. The first is music from an iOS game I did years ago that never came out. It was for the tutorial section where a robot taught you how to box. Next up is a high-energy track I was working on for a racing game by Adam Atomic. Finally, I worked on a game called "Liferaft" with the friendly friends at Mikengreg. You may know Greg from Mikengreg as the brilliant artist behind Ridiculous Fishing, the best game ever made for stuff ever. I hope you liked them! Again, the album will release sometime in April, I'll announce an actual date soon. It'll be on Bandcamp, iTunes, all that jazz. It will be a few dollars, and will contain quite a bit of music (final count announced soon!). Anyways, hope your day is going well. Be sure to do that thing you have been putting off, drink lots of water and vote your conscience. ©2013, Danny Baranowsky, header by Chris Arredondo. Simple theme. Theme images by sololos. Powered by Blogger.